Each mug comes with two different moustache drawings applied on each side. Cheeky and charming, the six hairy founding members of the DALIAN moustache family continue to win hearts and inspire tashes worldwide. 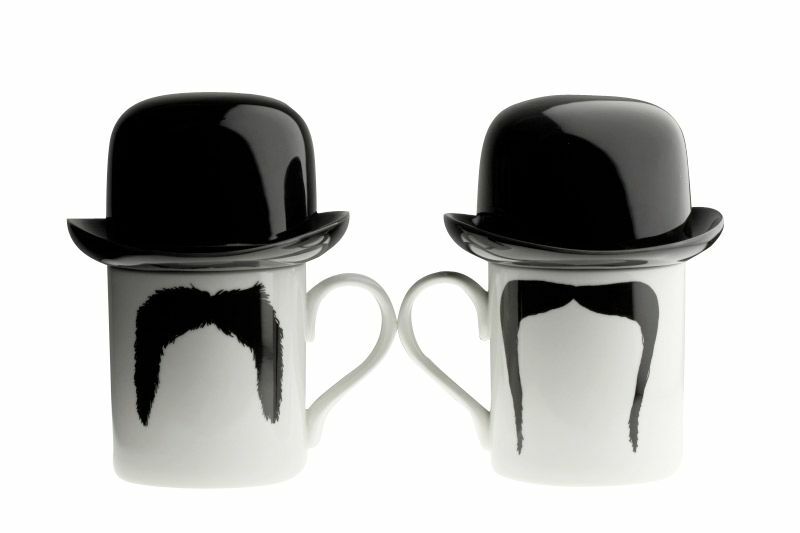 Made from fine bone china the moustache mugs are the highest of quality as well as being quirky designs. DALIAN has had a long and happy relationship with its producers in Stoke on Trent, working together with the best skilled crafts-people in local industries for the best mugs and tashes possible. The DALIAN range is really proud to only produce original and high quality goods. As the brain child of Peter Ibruegger DALIAN and the original six mugs were launched in Paris and London in 2009. They became an instant success and are frequently featured by major international publications and stocked worldwide.